Paper crafts are one of the most popular hobbies right now. It’s versatility brings out your individual style and show off your expertise, whether it’s Scrapbooking, greeting cards, stationery, altered books, or invitations and much more! Ideal for page-layout and word-processing applications or manipulating in many drawing and graphic programs. Enhance the look of personal communications such as... newsletters, ads, cards, labels, and other visual creations. For use with graphic programs. These monograms can NOT be used for commercial use. Download is in Zip format and is 18.41M. 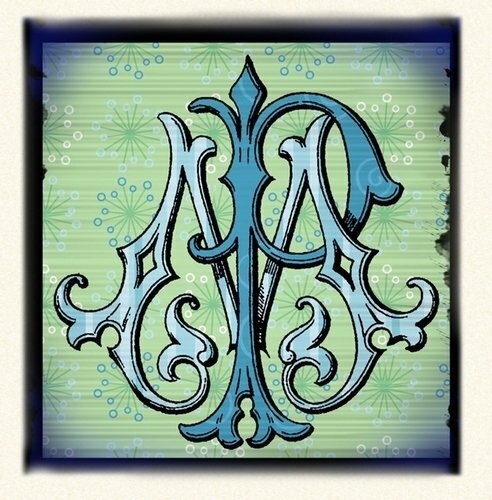 Note: The colored monogram shown is just one example of how you can use your monograms.